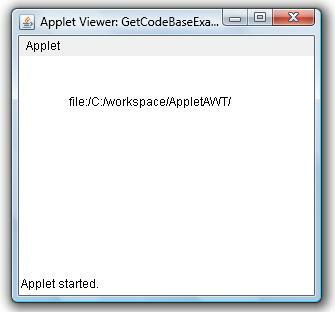 code base using getCodeBase() method of Java Applet class. * method of Java Applet class. As of Java 7u25, this will crash. The Applet.getCodeBase() function now returns null if the applet was loaded from a local file (see the 7u25 release notes for more).